We are hugely excited to announce that we will be hosting a 15th Anniversary showcase at The Brighton Festival in May. 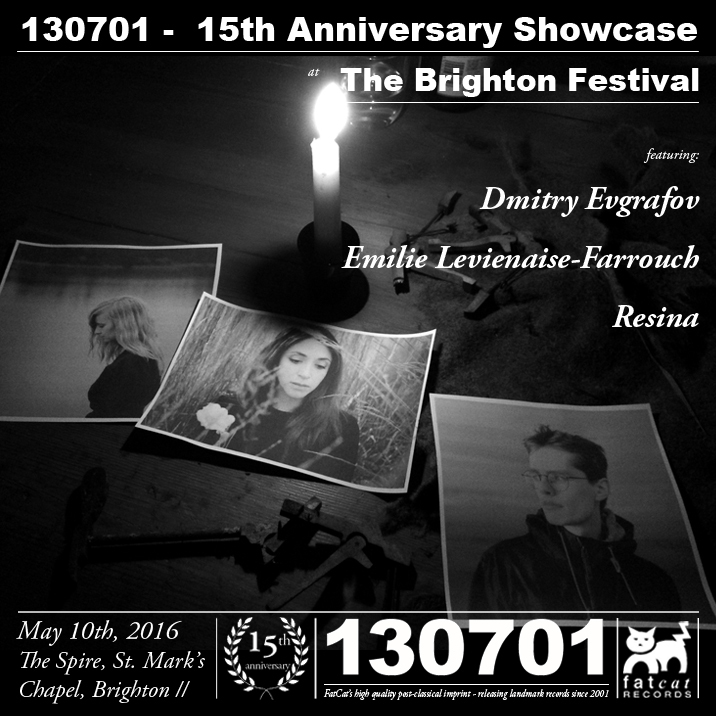 The showcase will feature three of 130701’s most recent signings – pianist / composers Emilie Levienaise-Farrouch and Dmitry Evgrafov, plus recently signed Polish cellist, Resina. The event takes place on Tuesday 10th May in the beautiful location of The Spire at St. Mark’s Chapel, Kemptown. Ticket info can be found here.